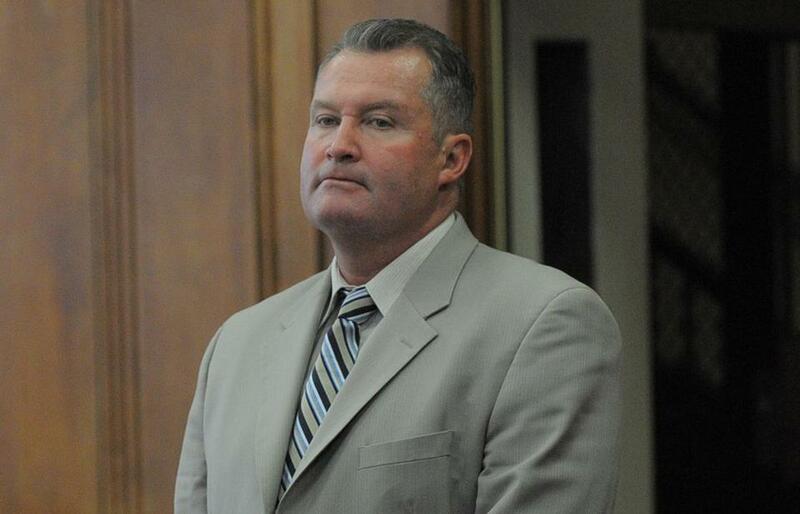 Former Probation Department head John J. O’Brien during a court appearance. The long saga of the public corruption case involving former Probation Department head John J. O’Brien and two of his top deputies has officially ended. The federal appeals court in Boston on Friday rejected a request by prosecutors to hold a new hearing on an appeal, after the court overturned O’Brien’s convictions in December. The refusal of the US Court of Appeals for the First Circuit to rehear the case, letting its December decision stand, effectively puts an end to criminal charges against O’Brien and his former deputies, Elizabeth Tavares and William Burke III. Their lawyers celebrated the decision, saying it affirmed that their clients had broken no laws. He also criticized prosecutors for pursuing a shallow case for so long, even after the appeals court initially struck it down in December. “By denying the government’s request for rehearing . . . the First Circuit yet again slapped down an over-reaching prosecution that can’t seem to accept ‘no’ for an answer,” he said. The 2014 trial in federal court in Boston was one of the state’s most high-profile and drawn-out public corruption trials in recent years. A jury convicted O’Brien, who was probation commissioner from 1998 until his resignation in 2010, along with Burke and Tavares of racketeering conspiracy for running their department like a criminal enterprise. The jury found that the three ran a rigged hiring system that favored jobs for politically connected candidates over those more qualified in exchange for budget increases and political clout. The case was based in large part on a 2010 Globe Spotlight report exposing systematic patronage that benefited state legislators and was overseen by O’Brien. O’Brien and Tavares were also convicted on fraud charges related to the rigged hiring system. O’Brien was sentenced to 18 months in prison and Tavares was sentenced to three months; Burke was sentenced to probation. Lawyers for the three argued that nothing they did was illegal, even if it was political patronage. O’Brien and Taveres never served time. The appeals court agreed to stay their sentences, noting the complexity of the case, and it eventually overturned the jury’s verdict. The December decision found that their actions, while distasteful, were not in violation of state law, specifically state gratuity laws, and that prosecutors had overreached in bringing federal racketeering charges. In a rare move, federal prosecutors last month asked the appeals court to reconsider and sought to spell out ways the jury could have found O’Brien and his cohorts guilty of breaking gratuity laws. The jury could have found that O’Brien was guilty of breaking those laws, they argued, on the theory that he gave jobs to state legislators through House Speaker Robert DeLeo in order to secure those legislators’ votes for DeLeo’s election to his post. But the appeals court said Friday that prosecutors could not propose new theories now that a jury has heard the case. “This theory of liability . . . is incompatible with the instruction the jury received regarding what the government must prove to establish a violation of the Massachusetts gratuity statute,” the court said. The court found that the government needed to show that “O’Brien gave a thing of value to a public official, a reference to Mr. DeLeo, and that Mr. O’Brien acted as he did for or on account of some specific act to be performed by that official.” The court found that was not shown at trial. “We, in turn, decline the government’s post-trial invitation — made for the first time in its petition for rehearing — to guess what the jury might have done had a broader instruction been given,” the court said Friday. DeLeo has denied any wrongdoing and criticized prosecutors for making such accusations against him. He was never charged.